In the late '90s, no celebrity couple held a candle to the romance between Hollywood A-listers Reese Witherspoon and Ryan Philippe. But after getting married in 1999, the actors called it quits a few years later, finalizing their divorce in 2007 and shocking fans around the world. There's a lot of speculation about their break up and why it happened, but here's what you need to know. No relationship can last if either partner has a wandering eye. According to multiple sources, Phillippe couldn't resist the allure of other women and openly flirted with them at parties and Hollywood events. Life & Style reported (via Popsugar) that a supposed friend of Phillippe said he "once spotted [Phillippe] at a party with some guy friends, and they were flirting with girls all night. He was not acting like a married man." Fellas, if you have a ring on your finger, flirting with any woman other than your wife is forever off the table. Unfortunately, flirting isn't all the Secrets and Lies star was up to during his marriage to Witherspoon. During the final years of their relationship, there were rumors that Phillippe had cheated. 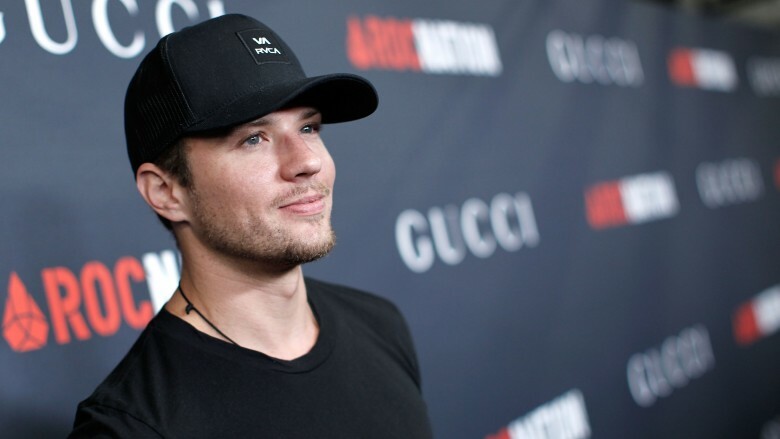 While he was filming Stop-Loss with fellow actors Channing Tatum and Joseph Gordon-Levitt, Phillippe reportedly had an affair with costar Abbie Cornish. Former Us Weekly correspondent Katrina Szish reported (via Today), "Ryan did not go out of his way to hide the fact that he was having a fling with his co-star Abbie Cornish." She added, "Besides the fact they were spotted making out in a sushi restaurant together, she was spotted many times leaving his loft apartment." If you think that sounds bad, trust us, it gets worse. According to The National Enquirer, Witherspoon found out about her husband's philandering ways when she took a peek at his Blackberry, which he'd left unattended in their hotel room. Apparently, there were messages detailing an explicit relationship with another woman. Their source explained, "Ryan was caught red-handed. All he could say was he didn't mean what he'd written to the other woman." Poor Witherspoon! We're not sure if the woman in question was indeed Cornish, but, considering Phillippe and the Australian actress did publicly begin dating after his separation from Witherspoon, it seems likely. Regardless of the rumors about torrid affairs and public arguments, we'd say that the ultimate reason for Witherspoon and Phillippe's divorce is how young they were when they tied the knot. In a 2015 appearance on Larry King Now, Phillippe credited their age as a major factor in their divorce. "I think more of the problem was age. When we got together we were so young," Phillippe explained to the talk show host. "I think it can create issues with two people in this industry because there's so much noise that goes along with it." That's certainly a good point to raise. Hollywood relationships are so tough to maintain as it is—if you're young and inexperienced with the stress of everyday adult life, the odds are stacked against the success of your relationship. Witherspoon echoed her ex-husband's statements in an interview with UK Elle Magazine (via Daily Mail), "I was so, so young. I was, like, ridiculously young. I learnt a lot, though. It was an excellent opportunity for me to really find out what it means to be a partner and to be in a marriage and it's not anything that I thought it was." Seems like the Legally Blonde actress thinks back on her first marriage as a life lesson. That's a healthy way to look at it—especially since the pair had two children together during their seven-year marriage. Life in the spotlight can be brutal. With tabloids crafting new rumors everyday, it can be hard to navigate the ins and outs of the industry without losing your marbles every once in a while. While Witherspoon and Phillippe never seemed to be too affected by paparazzi or nosy fans, their publicity appears to have taken a toll on them. Phillippe addressed the pressure placed on those in the limelight in an interview with W Magazine, "I certainly understand the level of interest that comes along with a public marriage, and with being married to someone like Reese, who so many people love with good reason. People want answers." Phillippe's ex-wife opened up about similar grievances in a 2011 interview with UK Elle Magazine (via Daily Mail). Regarding the pitfalls of Hollywood, the actress stated, "'It doesn't ever stop. Judging. Rejecting. They can really kick ya, you know? You're constantly criticized. It's really hard to pick yourself up every day." Hearing negative gossip about yourself, your work, and your family on the regular must tear a person down, which certainly doesn't do any wonders for a relationship. At least the former couple seems to be better adjusted to the idea of having public personas, with both Witherspoon and Phillippe routinely sharing photos on Instagram with their 8.4 million and 266,000 followers, respectively. Few relationships can survive without regular date nights—or even just time spent in the same room. But infrequent quality time is often the case with celebrity couples whose work takes them to all corners of the globe. Eventually, press tours and distant filming locations inflict some damage. An anonymous source told Life & Style (via Popsugar) Witherspoon worried about her marriage when Phillippe was away for work, saying, "She hated being in LA with the kids wondering if Ryan was behaving." If Witherspoon had lost trust in her then-husband, it was likely only a matter of time until they split. After all, if you don't have trust, what do you have? But it's important to note that Phillippe wasn't the only one in the relationship that spent time away from home. During their marriage, Witherspoon also traveled while filming and promoting a number of hit movies, including Legally Blonde, Walk the Line, and the rom-com Just Like Heaven. Remember, time apart isn't easy for anyone. Everyone who's been in a successful relationship understands the value of communication. But sometimes, it's difficult to properly express yourself in ways that will make your partner understand your feelings. This seems like the case for Witherspoon and Phillippe, who have previously discussed the role marriage therapy played in their relationship. In 2002, Witherspoon shared her opinion on counseling with Access Hollywood in 2002 (via Today) saying, "I don't think there should be a social stigma attached to having therapy. It's self improvement." While, ultimately, therapy wasn't enough to save their marriage, the pair should be proud of the steps they took to try to maintain their relationship. After all, that's more than can be said for many other Hollywood couples. Their troubles may also have been fueled by Phillippe's lifelong battle with depression. While we don't know the details of the role depression played in his relationship with Witherspoon, it's safe to say that the actor's struggled with it for a long time. In a 2015 interview with Elle Magazine, Phillippe opened up about the condition and the effect it's had on him. "You know, depression has been a huge obstacle for me ever since I was a child," he shared. "As you get older I think it decreases some, but I'm just innately kind of a sad person. I'm empathetic, and I take on the feelings of others and transpose myself into the position of others." We hope Phillippe's been taking the time he needs to improve his own mental health. While no one can claim to know the problems between Phillippe and Witherspoon better than the former couple themselves, their reactions to their divorce shed a lot of light on the situation. From what both actors have shared with the media, it seems like they both loved each other intensely, which, unfortunately, left them in pieces once their relationship ended. According to Glamour, Witherspoon was devastated after her divorce. "I lay on my kitchen floor and cried a lot and I think at a certain point you just wake up and you're like 'OK, I don't want to feel like this anymore,'" she shared. In an interview on 60 Minutes with Charlie Rose, Witherspoon also admitted that her career took a nosedive after her divorce due to her brain, which she claimed felt like "scrambled eggs." Phillippe described the time following his divorce from Witherspoon as "the darkest, saddest place" he'd ever experienced. He went on to tell Huffington Post, "It was a struggle—there were a good four or five months of not being able to get out of bed. It was the worst time of my life." You know what they say: the flame that burns twice as bright burns half as long.